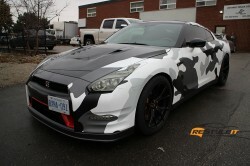 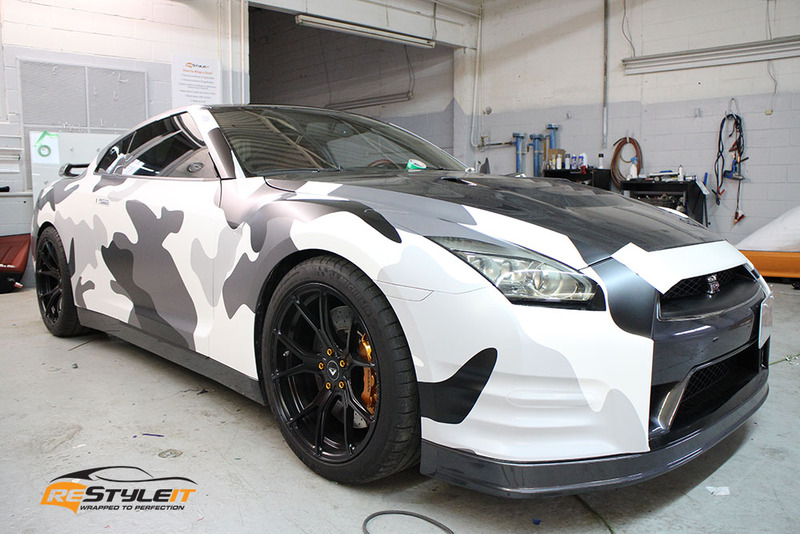 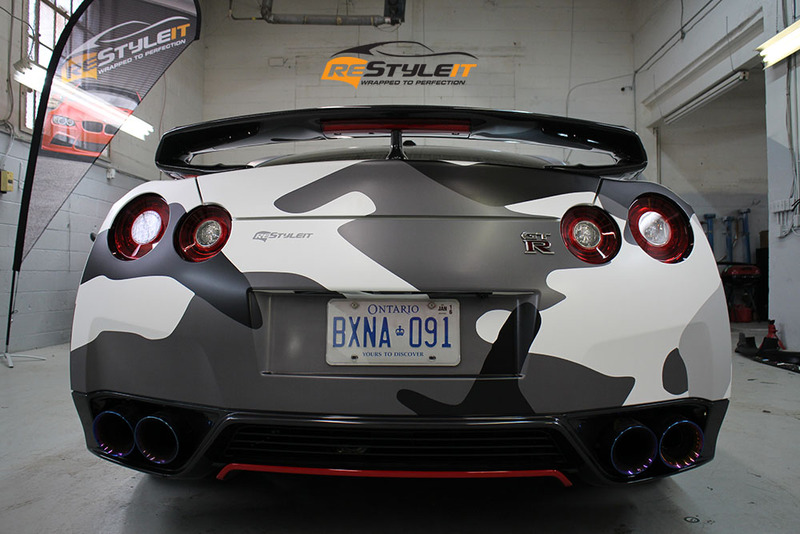 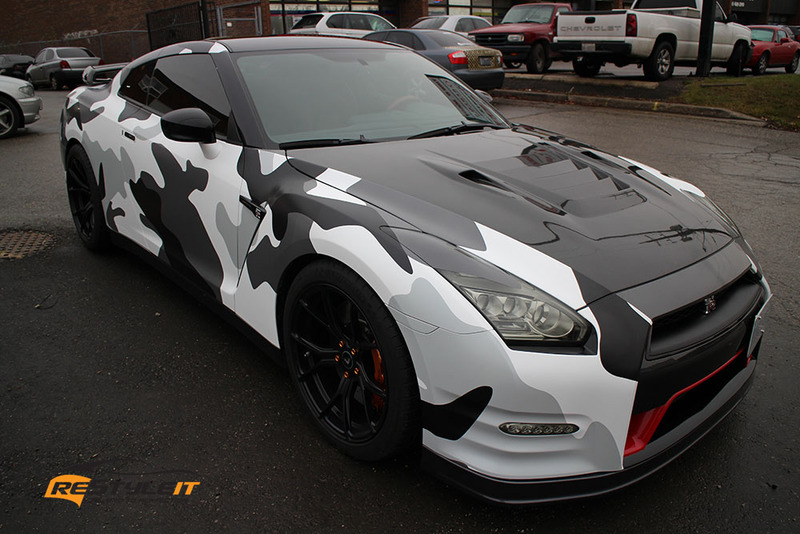 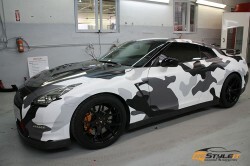 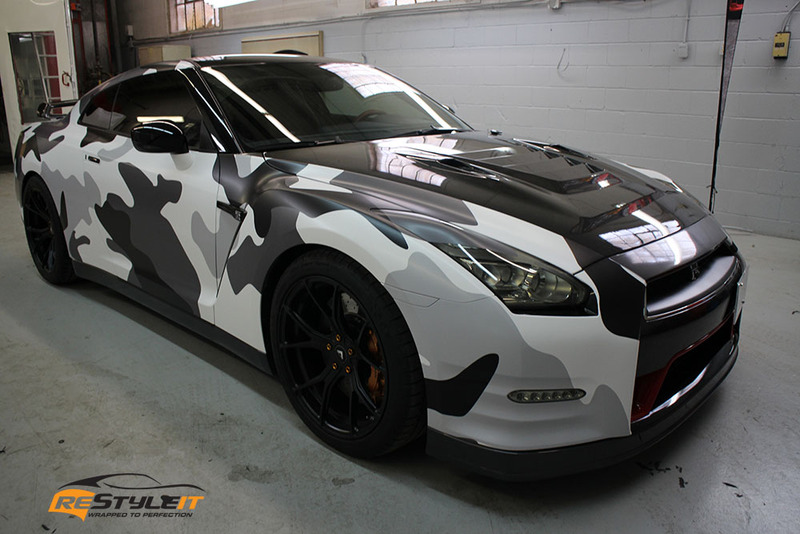 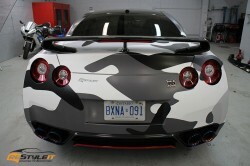 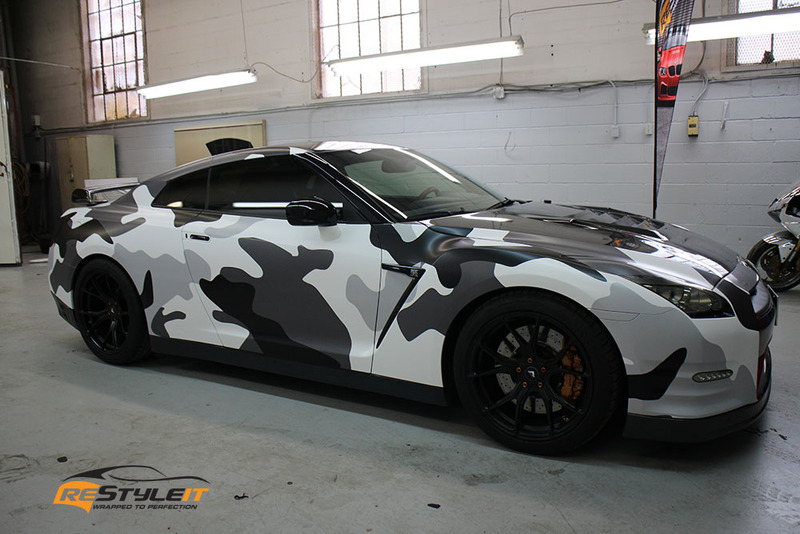 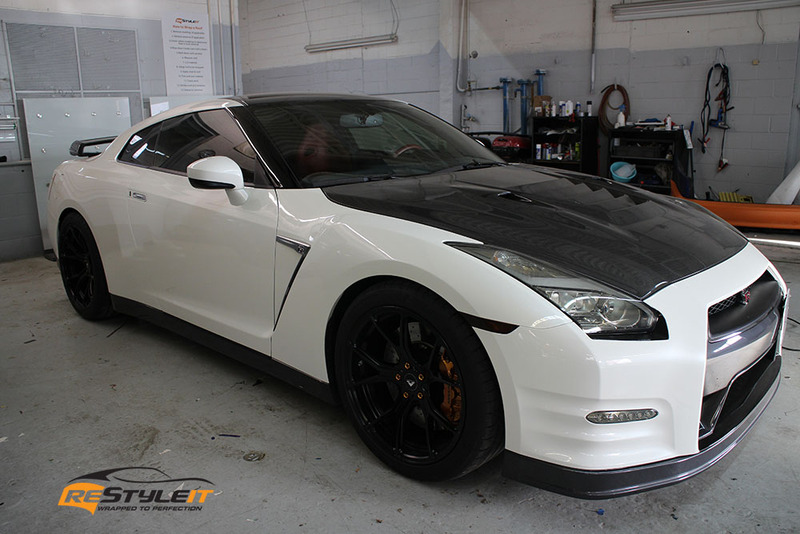 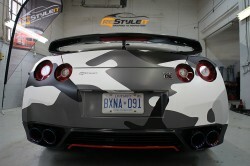 As we have just welcomed 2016 and winter is about to turn real, we thought it’s a good time to share our Arctic Camo Nissan GTR wrap. 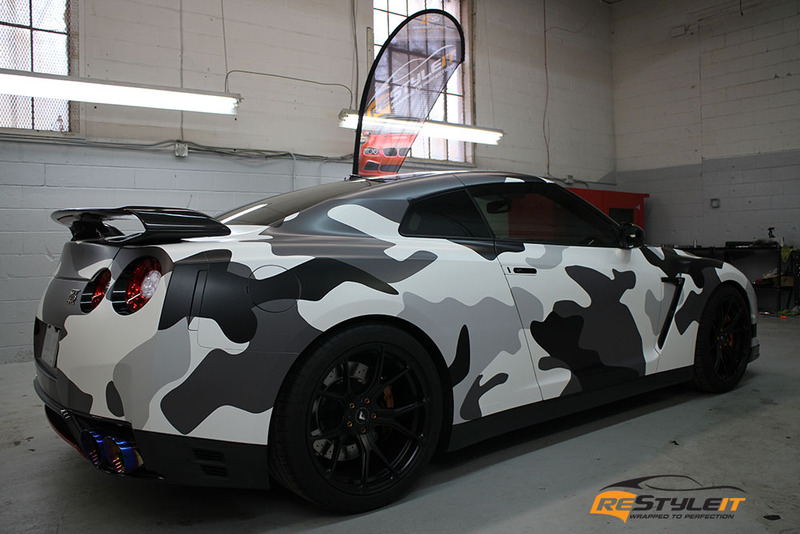 With camouflage looks being so popular in the last little while, there is quite a number of different patterns, styles and colours available on the market. 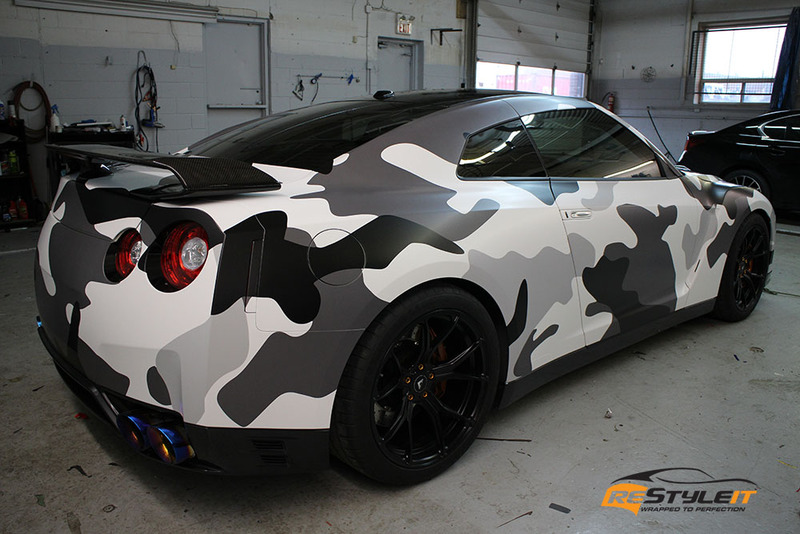 When it comes to camo wraps, we take in consideration the size, shape and exterior specifications in order to achieve the desired as well best looking result for each given vehicle. 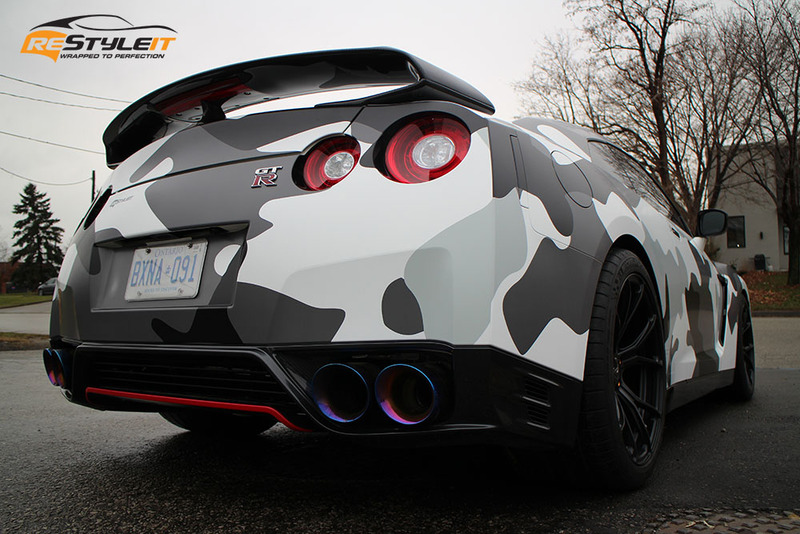 Custom wraps also require professional and exceptional quality printing equipment and services in order to ensure colour and bordering looking sharp and precise when printed on a larger format. 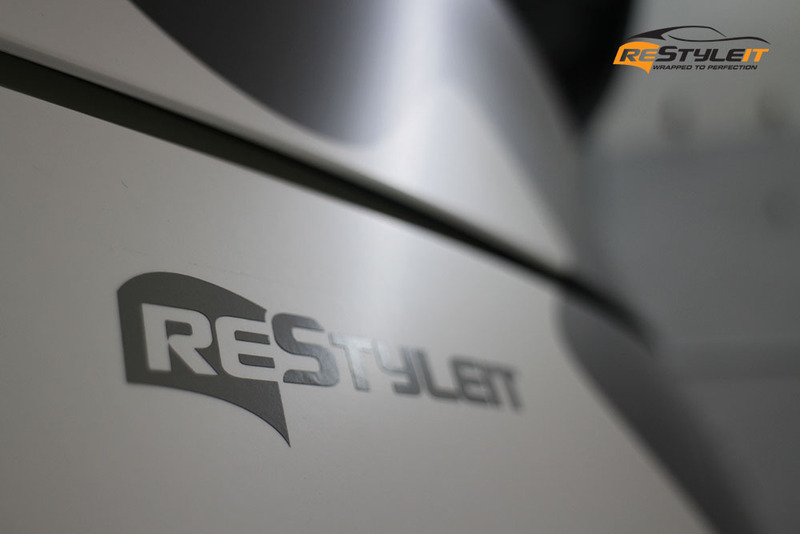 After the design details have been coordinated and agreed on with the client, it moves on to the following stage which is printing. 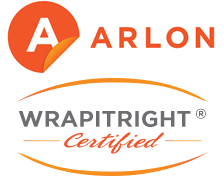 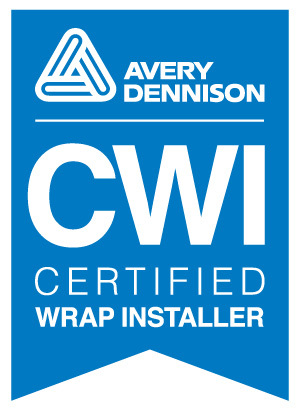 Once done, the actual wrap application takes place. 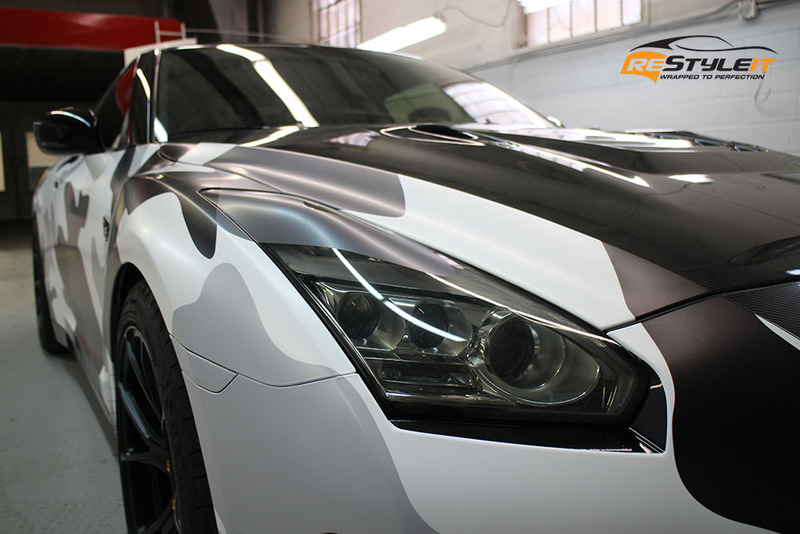 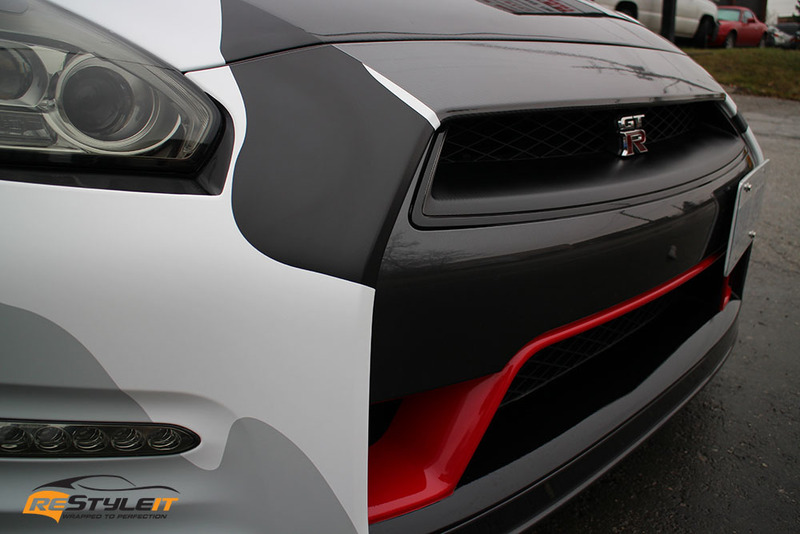 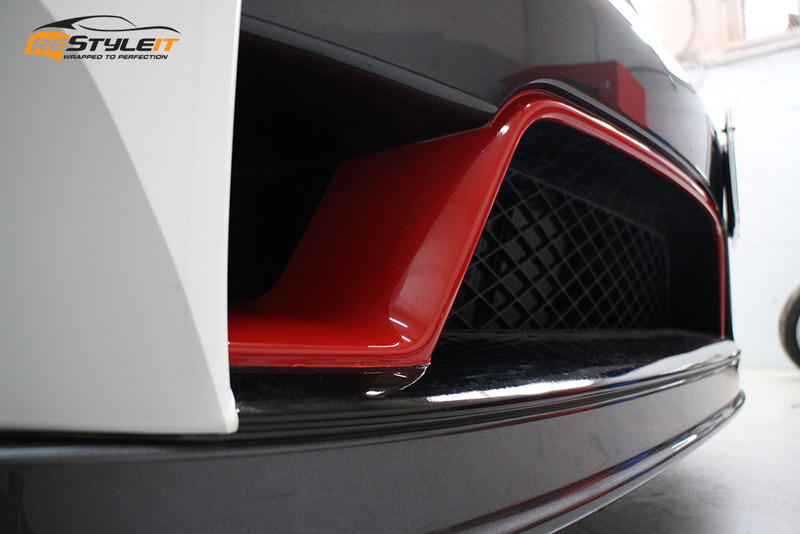 What makes some custom wraps challenging is the pattern lining when two vehicle parts must have the design merging and forming one single image. 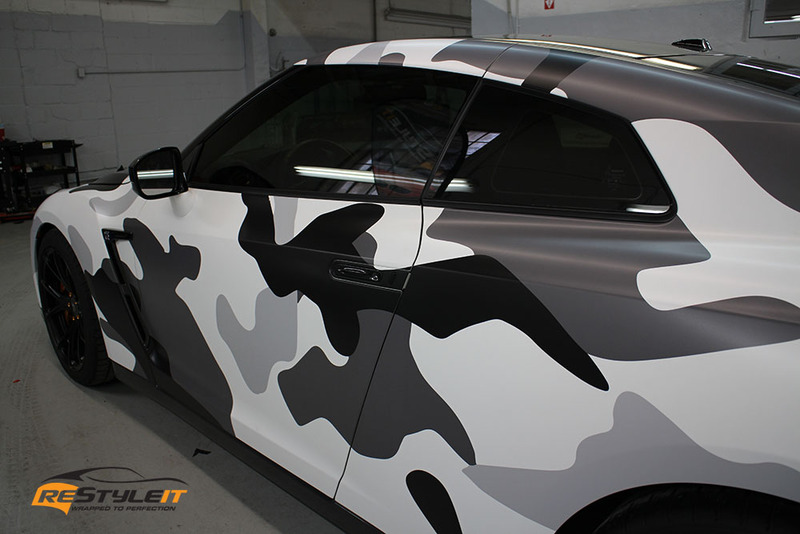 While being time consuming and intricate, camouflage wraps are fun and absolutely rewarding to work on. 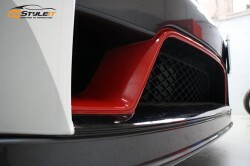 Unique and custom to fit individual taste and preferences they create exceptional experience for our clients and us. 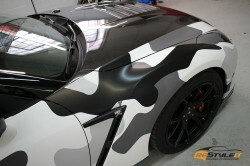 If interested in camouflage wrap, please contact us for details. 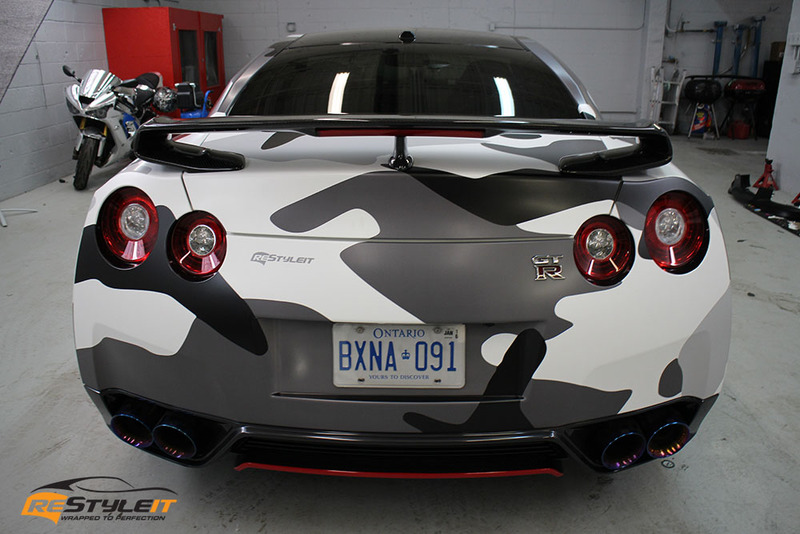 Pattern shapes, colours and different sizes are available at our office in Vaughan.